Lugaw or rice porridge is one of my comfort foods so when I got an invite to learn The Art of Ojiya at COCA Restaurant I had to cancel an out-of-town trip. The Art of Ojiya is derived from Khao Tom, which is a breakfast staple in Thailand. It is essentially porridge that can either be served plain or with a variety of ingredients. It is a mild and thin rice soup akin to a vegetable soup with lots of rice. It is made from pre-cooked rice and water seasoned and cooked with other ingredients such as meat, seafood, mushrooms, and vegetables. At COCA, guests are encouraged to end their hotpot experience with the Ojiya – a delicious combination of rice slowly cooked in your hotpot broth with sesame oil, egg, spring onion and fried garlic. 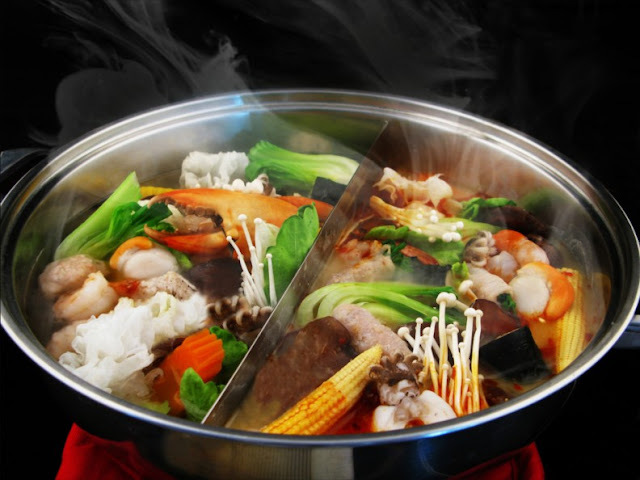 No two Ojiyas are ever alike as each takes in all the flavor and character of one’s personalized hotpot experience. Every Ojiya gives a distinct flavorful experience so whatever hotpot combination is preferred, the Ojiya is definitely in for a warm and comforting finish. At COCA, Ojiya is usually presented with 2 variations of soup – the Tom Yum, for those who prefer their base with added kick and spice; and the basic chicken stock, for a more traditional and simple base. 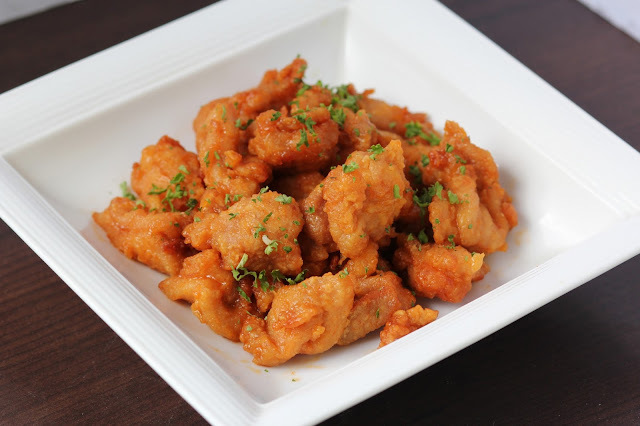 Diners may then choose their ingredients to mix in the soup, be it vegetables and pork or beef, chicken or seafood. Incidentally, Coca is also highlighting items in the menu that will definitely have customers want to come back for more. Salted Egg Salad with Pork Belly and Shrimp, which is a favorite starter. The Pacific Sunset, which is served with a king crab, squid, tiger prawns, pork sausage and corn is a hearty dish that can serve a big group. 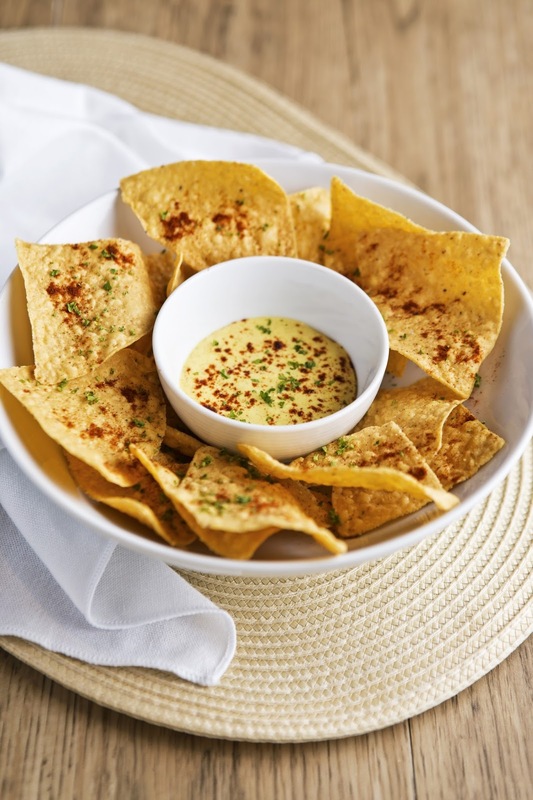 It goes with a hint of a variety of spices from around the world and may be enjoyed with rice or bread. 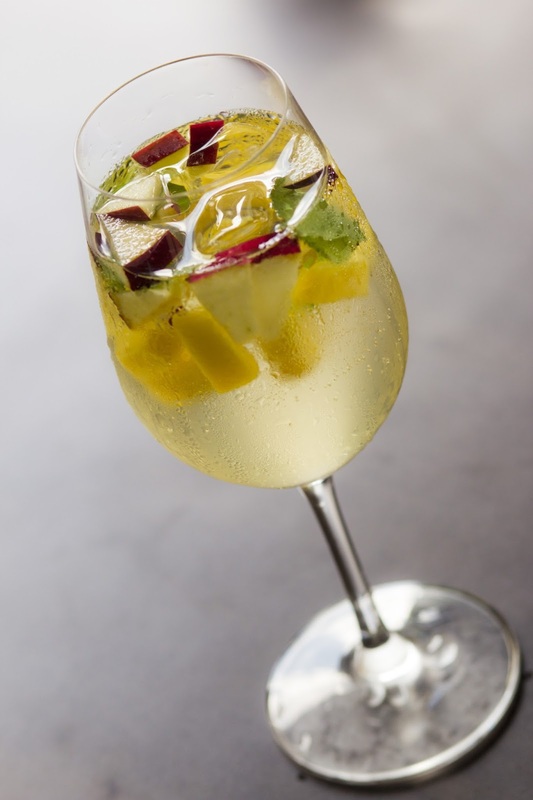 For leisurely drinks, COCA has the White Sangria, white wine with orange juice, lime juice, dalandan juice and soda with apple and pear. 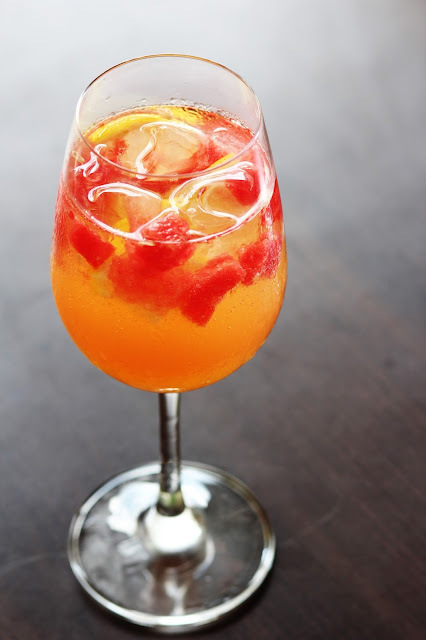 Sunset Sangria is concocted with white wine, watermelon, dalandan juice, lime juice, soda and lemon. 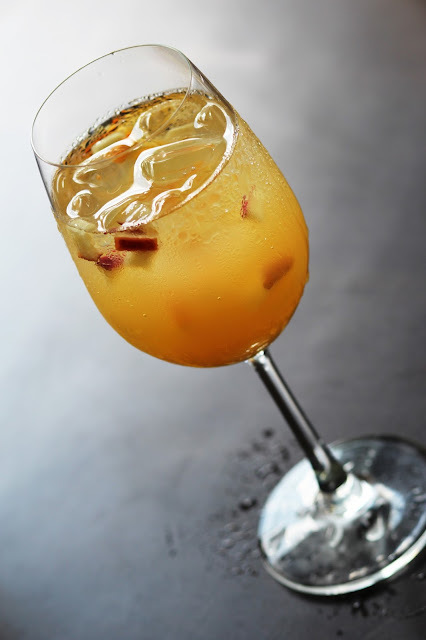 Mango Mint Sangria, a mix of white wine with rhum, lime juice, soda, apple, mango and a tinge of mint. For an epicurean adventure, head on at COCA Restaurant! 5th level of SM Aura Premier in Taguig City. For more information and reservations, call Call 955-2022 or 0917-813-9760.